I love how I get focused on a theme or a verse and it all magically comes together into a still life portrait. When others see the still life portrait they see the objects, but I see and feel the people who helped bring it all together and the magical creation process. Today this portrait started with a backdrop curtain gifted to me from friend Sarah M. when she moved out of her previous studio. 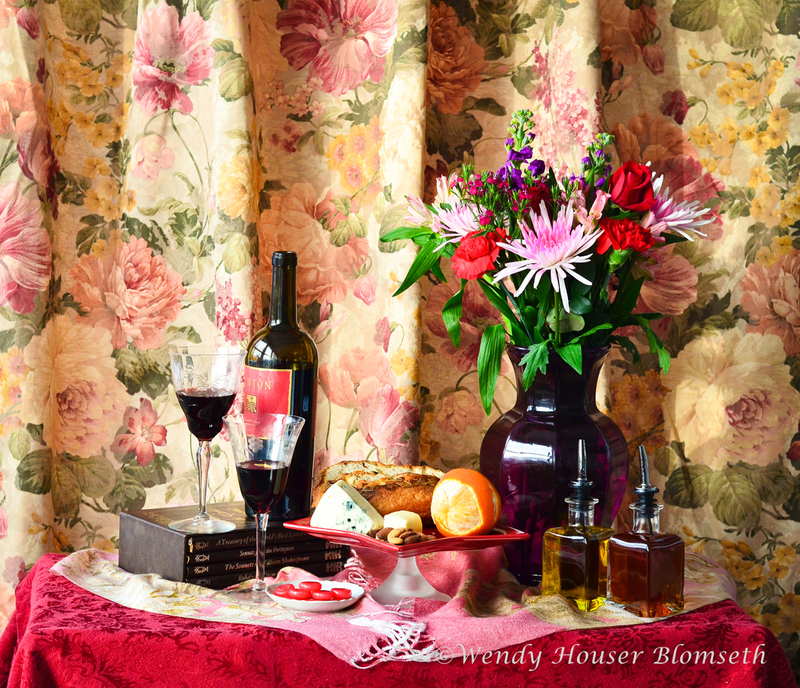 I'd been waiting for the right opportunity to use it and thought it would be ideal for a Valentine still life that would look like a classic painting. Coincidentally, the second friend who contributed was also a Sarah. Our neighbor Sarah S. had generously shared hearty sour dough bread, Newton label red wine and Stilton blue cheese, all yummy. Sarah was alongside Karl and I when I purchased the lovely flower arrangement at Bachman's during their Winter Farmer's Market open house. The remaining objects called to me asking to be included in the portrait also, i.e. set of poetry books, olive oil and vinegar from Vom Foss, an orange, nuts and lastly, cinnamon candies. I created about 20 images as the afternoon winter sunlight peaked in and out of hazy clouds and illuminated this scene. As always I had the camera firmly planted on my Bogen studio tripod and a reflector positioned to bounce back the available light. But this time I did a little experimentation for a change at the prompting from an art exhibit attendee who I chatted with recently. He queried why didn't I photograph at the wide open end of the focal settings such as f1.4, f2, f4 and the like so it looked like a contemporary photo. My answer was basically that, for my purposes I feel I get the desired effect by photographing at f8, or f11 so everything is sharp and in focus and has the look and feel of a classic painting. But, just for a little variety and to overcompensate for the hazy sunlight I thought I'd play at both ends today and compare the results. I'm happy to say that I loved three different images at three different settings: f2, f5 and f10 so I had test prints made of all of them so I could carefully examine them up close. Final favorite that is now going to the next production level, a canvas enlargement, is the f5 image because it helped to soften the pattern of the curtains and yet keep all the objects in sharp focus. 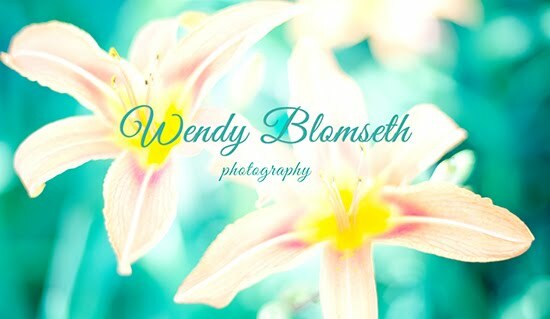 I just love it when I get to play, experiment and do something a little different each time.